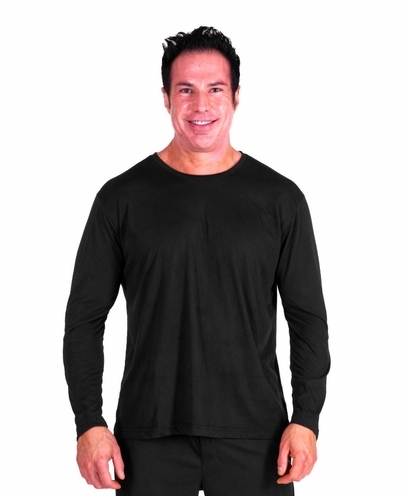 Style #T4921 If you find yourself sweating throughout the night even during colder months, keep yourself warm while still preventing against night sweats in the Men's Moisture-Wicking Long Sleeve Shirt from Cool-jams™. This unique sleep shirt features long sleeves and a classic crew neck in your choice of sizes and colors, but it also contains our unique Cool-jams ™ smart fabric technology that wicks moisture away from the skin. 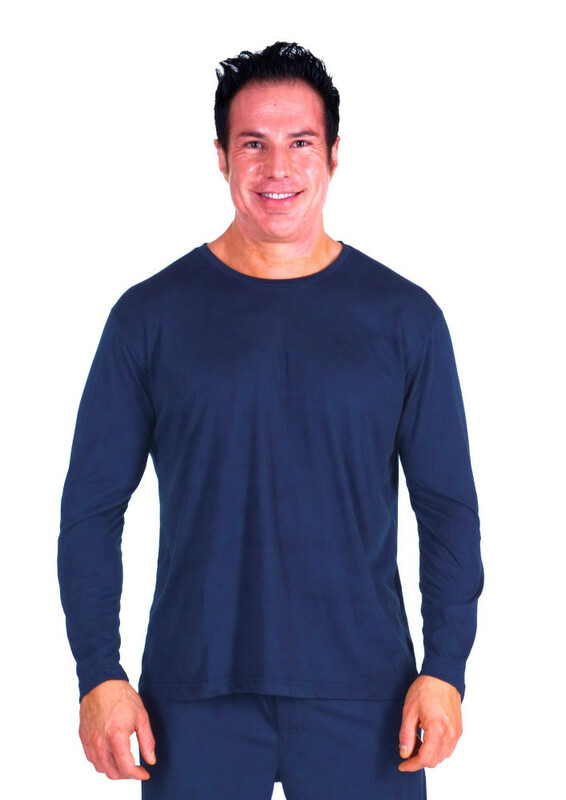 While it provides a soft, silky feeling, this fabric also dries very quickly, absorbs sweat and even eliminates the bacteria that cause body odor during sleep. 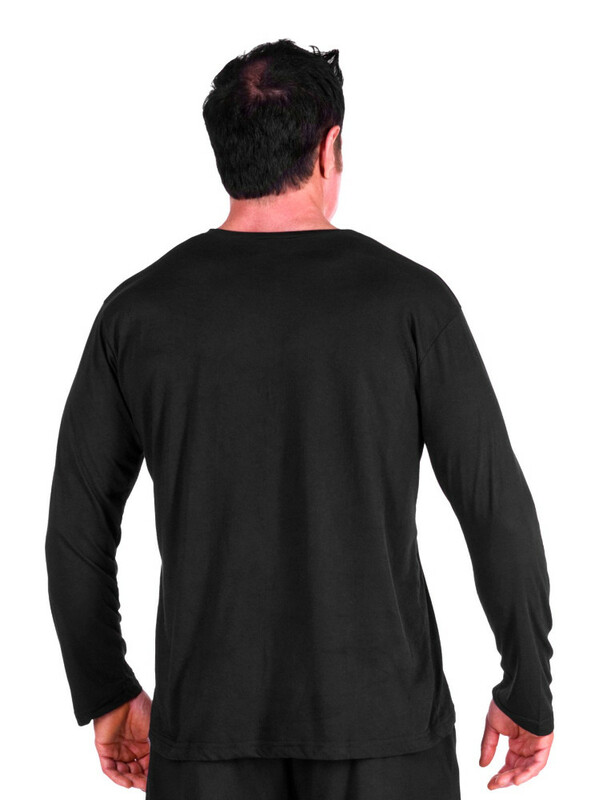 In addition to its wicking properties, this Men's Moisture-Wicking Long Sleeve Shirt is also very lightweight and wrinkle-resistant to make it ideal for traveling. 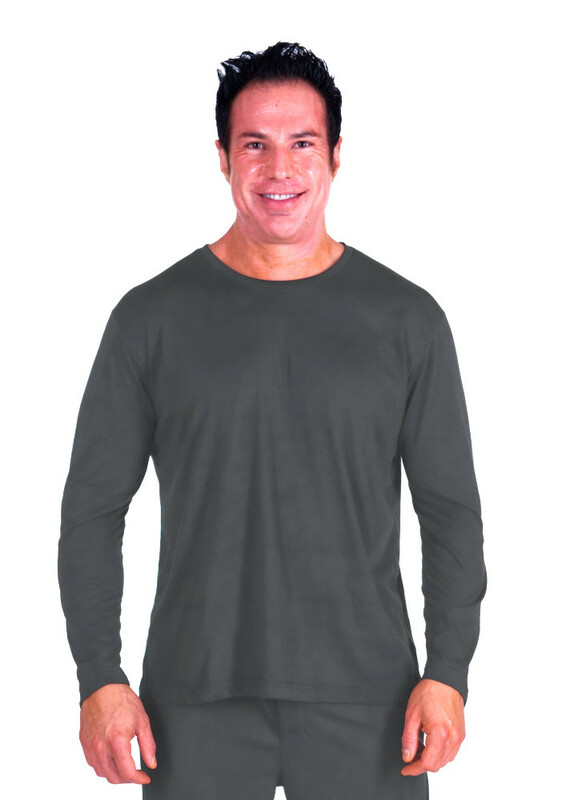 If you want to stay cool during hot weather and warm during chilly winter months, this is the perfect T-shirt for you. Care instructions: Wash your Men's Moisture-Wicking Long Sleeve Shirt in cool or warm water on gentle cycle. Avoid using fabric softener as this can reduce wicking properties of material. OK to tumble dry, but this can cause static. My husband just received the Steel color for Xmas and it is a lovely color. Not boring sweatshirt gray at all. Has a slight sheen to it. We love these pajamas and nightgowns. They are generously sized for comfortable sleeping. We are starting to collect these pajamas as they are the only fabric we enjoy sleeping in! The men's tops and bottoms fit my husband perfectly, with some comfort room to spare (5'9"...size medium)...He LOVES them! My husband has 3 sets of Cool-jams. He says it is the best sleepwear ever! Keeps him so cool and dry all night. Thanks for keeping the husband happy. I bought this shirt a few years ago and now they finally brought it back after closing it out for a bit. I guess it was popular afterall! The new fabric is actually even better than what you used before. These pajamas are the only thing I'll wear these days.